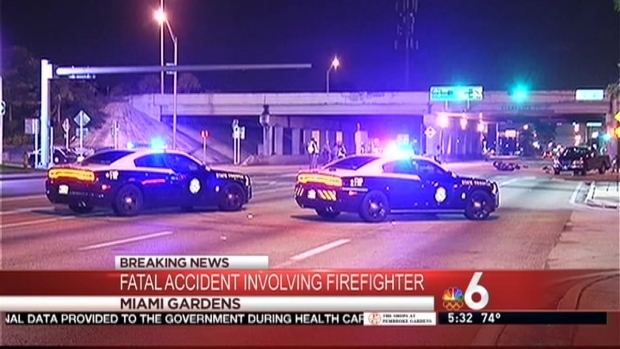 An off-duty Miami-Dade firefighter was killed during a motorcycle crash in Miami Gardens Friday morning. The crash happened around 12:45 a.m. in the area of Northwest 27th Avenue and Northwest 167th Street when the motorcycle collided with a pickup truck. "The motorcyclist basically put the motorcycle down and collided with the rear of the truck as it was making a left hand turn," Florida Highway Patrol spokesman Joe Sanchez said. "It was a hard impact, the motorcyclist was transported to Jackson Memorial Hospital where approximately an hour later we were notified that he had passed away." 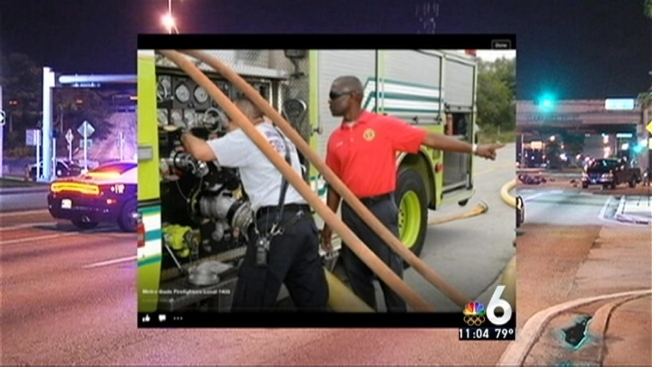 An off-duty Miami-Dade firefighter was killed during a motorcycle crash in Miami Gardens Friday morning. FHP spokesman Joe Sanchez comments. The firefighter was later identified as Steve English. The driver of the pickup truck stayed at the scene. The crash is still being investigated but Sanchez said they don't believe alcohol is a factor.